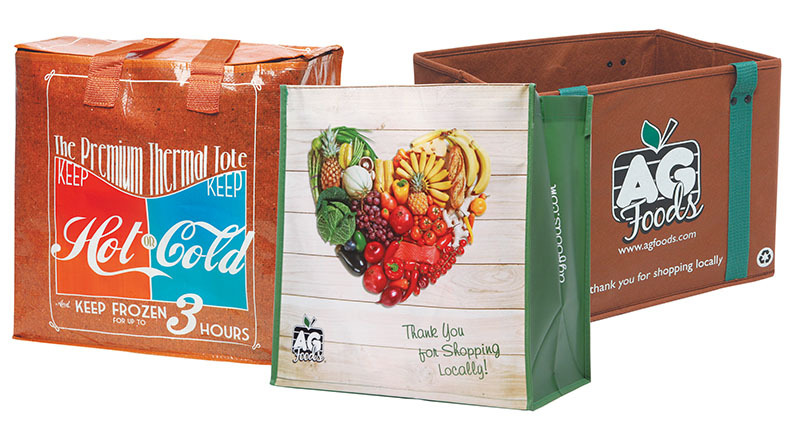 AG Foods™ stores are commited to reducing the number of plastic bags that end up in the landfill. That's why we are pleased to offer a selection of Re-Usable Bags (available at most stores). These are great alternatives to plastic bags and can be reused over and over again. Cloth bags are available in at least one design. Collapsible boxes are great for keeping produce and bakery items safe while you transport your groceries home. They have hard sides and a solid base, as well as handles on both sides to make carrying easy. Also available: Thermal Bags keep hot foods hot and cold foods cold making them a great purchase all year round! Available at participating AG Foods™ stores. AG Foods is always looking for ways to be friendlier to the environment. All of our flyers are 100% recyclable and printed on paper harvested from sustainable forests. Click to learn more about our e-flyers or the Sustainable Forestry Initiative.